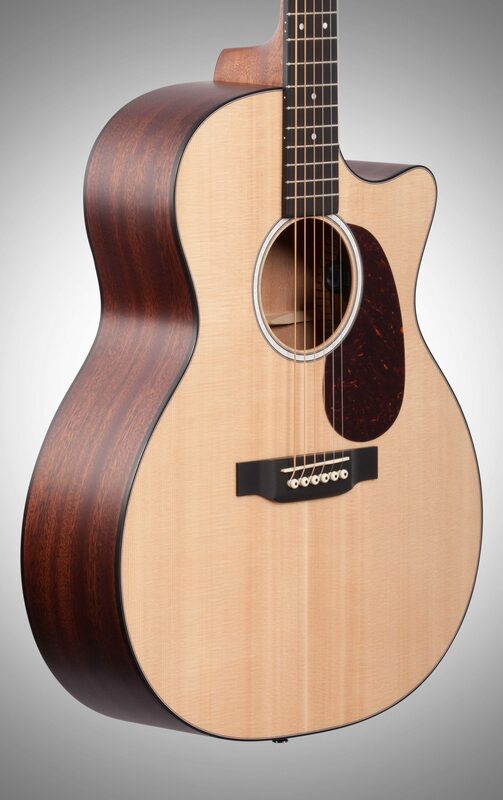 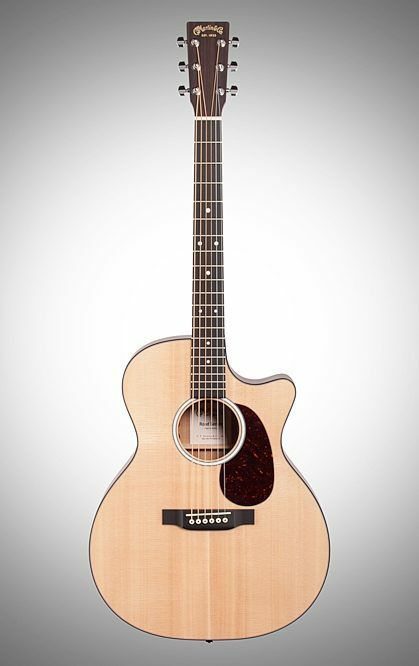 The Martin GPC-11E Grand Performance Acoustic-Electric Road Series is perfect for value conscious players looking for a full-sized, solid wood acoustic with the superior Martin tone that has shaped generations of music. 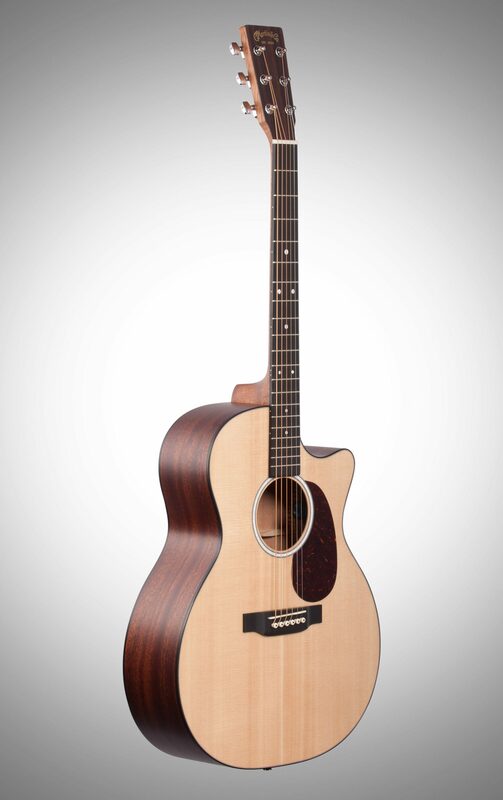 The series features a stunning mother-of-pearl pattern in the fingerboard and rosettes (except the D-12E, which has a Style 28 rosette pattern). 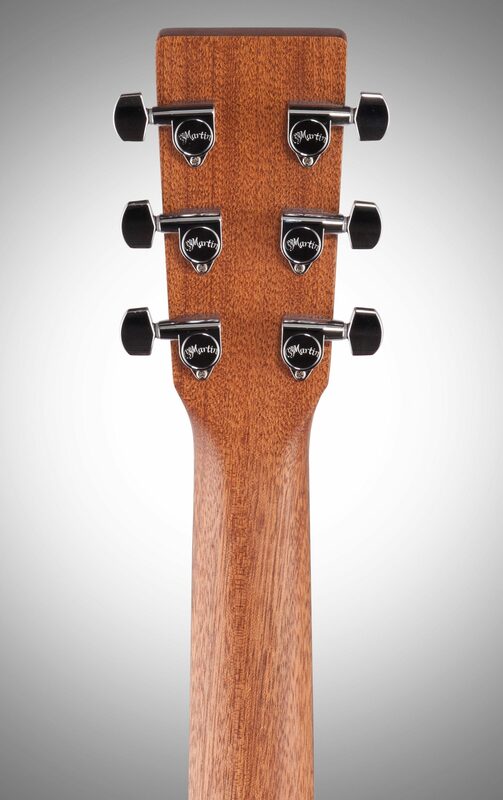 All models include Martin's high-performance neck taper for added comfort as well as satin and gloss finish options and a variety of tonewoods. 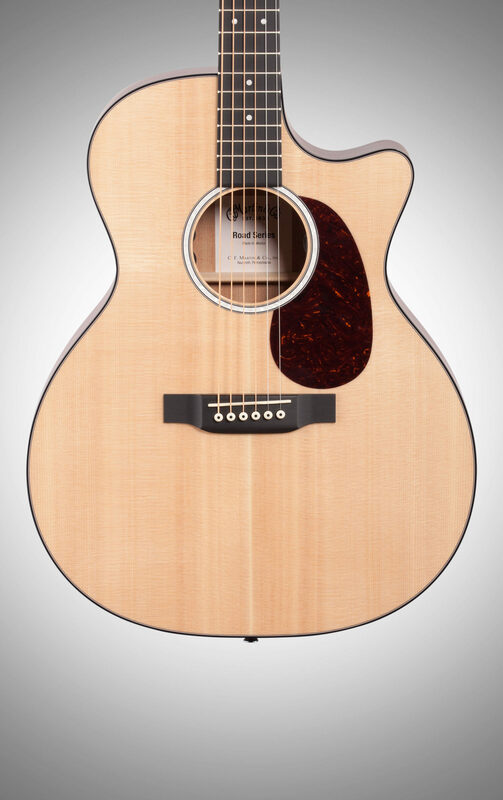 Perhaps the most notable update to the Road Series is the addition of discreet Fishman MX-T electronics with a built-in soundhole tuner that auto mutes the audio output so you can tune up any time without using a pedal. 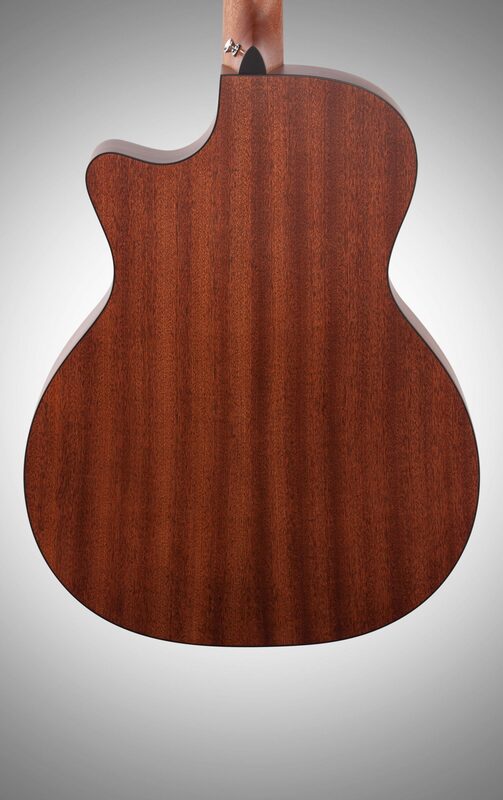 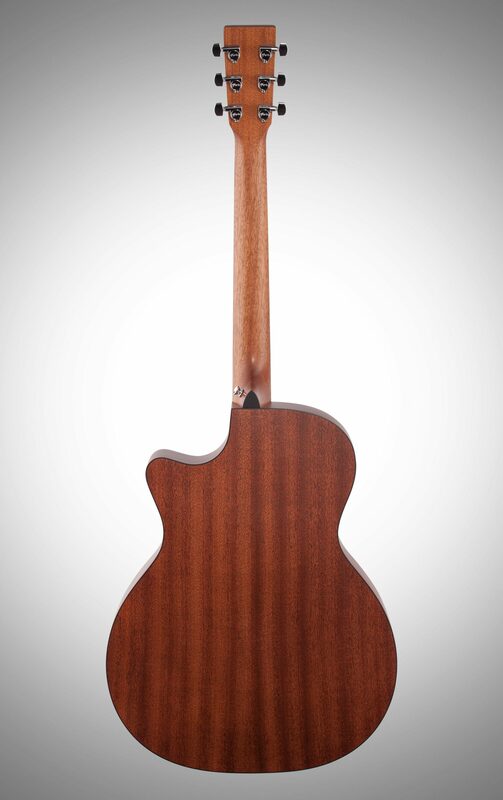 All Road Series guitars come with a Premium Soft Shell Case. 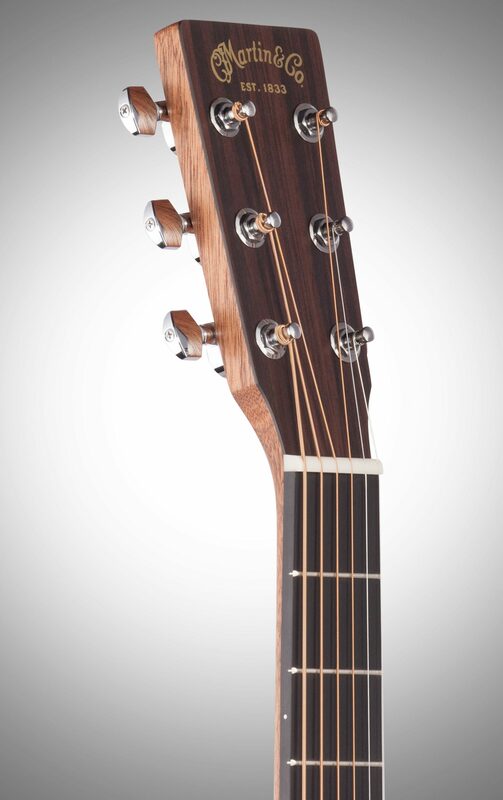 - Fingerboard Width at Nut: 1 3/4"
- Fingerboard Width at 12th Fret: 2 1/8"